We live in times of increasing inscrutability. Our news feeds are filled with unverified, unverifiable speculation, much of it automatically generated by anonymous software. As a result, we no longer understand what is happening around us. Underlying all of these trends is a single idea: the belief that quantitative data can provide a coherent model of the world, and the efficacy of computable information to provide us with ways of acting within it. Yet the sheer volume of information available to us today reveals less than we hope. Rather, it heralds a new Dark Age: a world of ever-increasing incomprehension. 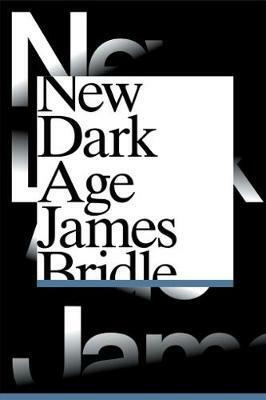 In his brilliant new work, leading artist and writer James Bridle offers us a warning against the future in which the contemporary promise of a new technologically assisted Enlightenment may just deliver its opposite: an age of complex uncertainty, predictive algorithms, surveillance, and the hollowing out of empathy. Surveying the history of art, technology and information systems he reveals the dark clouds that gather over discussions of the digital sublime.